If you were looking for someone to live in the UK that’s not London but still has a thriving tech scene, you’d be well places to consider Edinburgh. The city enjoys the highest average earnings of the UK outside of London, it has low levels of unemployment and one of the strongest financial sectors in the world. Last year European Business Magazine voted Edinburgh the best European city to locate a technology company and it also won “Entrepreneurial City of the Year” at the 2016 Great British Entrepreneur Awards. Edinburgh is home to a number of well known tech companies including Skyscanner, Craneware, Ice Robotics and and two unicorns, Fanduel and Rokstar North. There’s over 160,000 people employed in more than 10,000 technology and engineering companies. Internationally-renowned universities and top data science research facilities also provide a pool of not only innovation but employees. Edinburgh is also a place of creative arts with 12 major festivals annually and a robust film and tv industry. Tourism is also thriving. Edinburgh provides a range of services for new businesses such as Business Gateway and the local government offers assistance for businesses considering or planning to relocate to Edinburgh. Startups may be eligible for small loans or grants depending on the visa status of staff and the element of risk in their product. 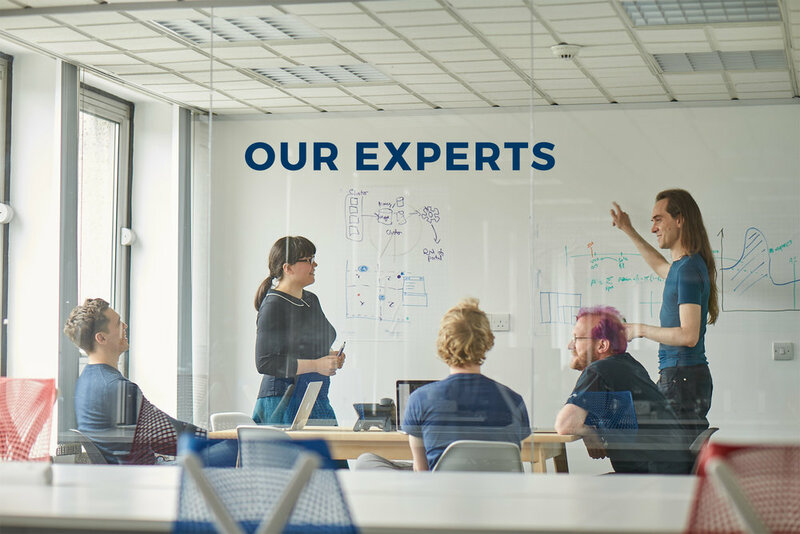 Enterprise Scotland is also available to help businesses start or scale and Interface provides a free matchmaking service connecting businesses across all sectors quickly and easily to world class knowledge, expertise and research facilities available in all of Scotland’s universities and research institutes. There is a strong cultural focus on mentoring and networking amongst tech with other industries and research facilities. Edinburgh is home to over 30 Coworking spaces including No. 3, Nexus, Melting Pot TechCube and Edinburgh Hack Lab. 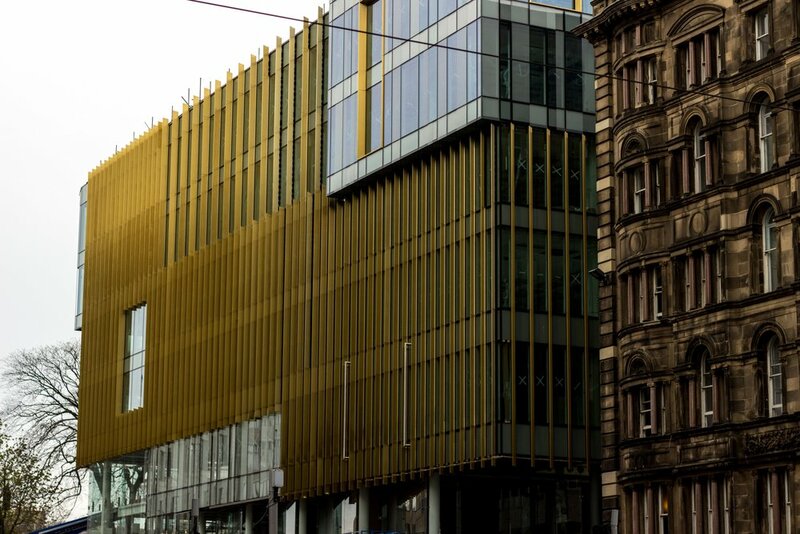 CodeBase, the UK’s largest technology incubator and home to over 90 companies who have collectively raised over half a billion dollars in investment. Edinburgh is relatively late to funding startups and thus there are only a handful of incubator and accelerator programs. Of course, it is arguable that a smaller concentration increases the chance of success for the participation but startups should be prepared to bootstrap at least in the early stages. There are significant efforts afoot to connect entrepreneurs with funding from elsewhere such as Disrupt 17 and Silicon Valley Accelerate. Edinburgh is cheaper than London but as with most cities, housing is limited and competitive. Wages are significantly lower than London despite living costs being not all that much different besides housing so whilst you might not spend a chunk of your salary on accommodation, accumulating savings may be a challenge. It’s definitely worth doing your research here as there are many contradictory accounts depending on what analysis you read! As with any city home to free or affordable higher education, you can expect a high calibre of educated graduates. This is great if you are seeking employees but also means they chance they will move abroad is higher. At the time of writing, many visas for the UK are becoming linked to the financial capacity of the applicant. You can apply for a Tier 1 (Entrepreneur) visa if: you want to set up or run a business in the UK; you’re from outside the European Economic Area (EEA) and Switzerland and you meet the other eligibility requirements. However you must have access to at least £50,000 investment funds to apply. 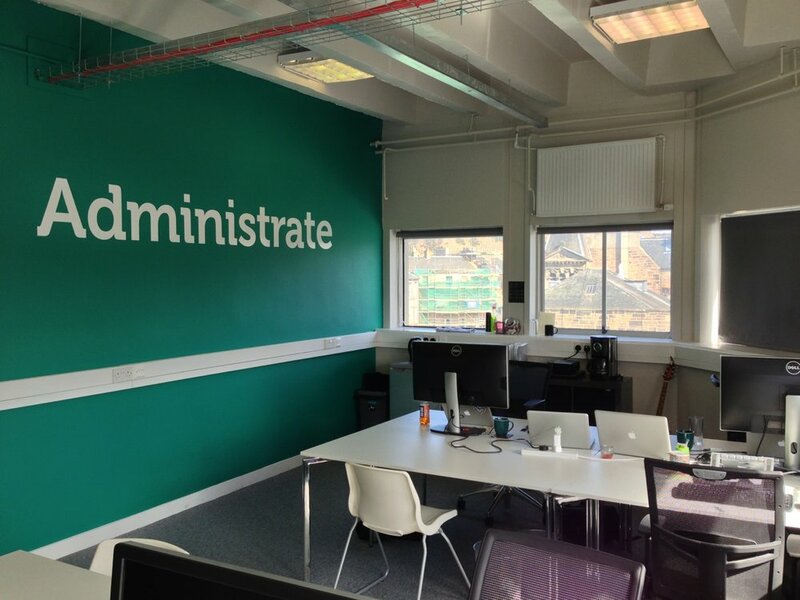 Administrate creates online training management solutions to assist companies to increase course bookings, manage their operations, and deliver exceptional eLearning. They received 2 $2.5 million funding in 2015 and also announced that their staff were moving to a 4 day week-interesting! markets software and consulting packages that address data security and storage and compliance for businesses. They protect core data assets and intellectual property by monitoring systems in real time for breaches of company policy as well as providing full forensic tracking for auditing and investigation. They received £3.6 million Series A funding round in March by a group of Scottish Angel investors. TVSquared provides same-day measurement and optimization opportunities for TV advertisers. With timely insights into the “who, what, when and where” of TV, brands, agencies and networks proactively improve campaign performance. On average, clients optimize campaigns by 25%, reduce cost per response by 25% and increase sales/registrations by 30%. In February the company announced a $6.5 million funding round from West Coast Capital and Scottish Investment Bank. This takes the company’s total funding to almost $10 million. 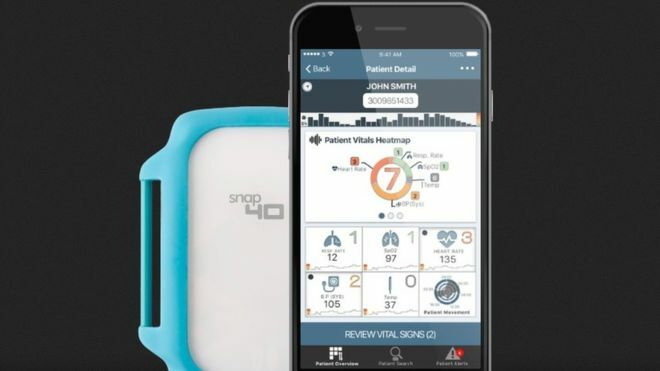 Snap40 uses a predictive analytics software platform to identify, in real-time, those whose health is at risk of deteriorating. The technology includes a single medical wearable device, worn on the upper arm, to monitor health indicators continuously. It automatically identifies patients at high risk of acute health deterioration so that physicians and nurses can intervene earlier. In doing so, patient mortality and morbidity can be reduced while staff can be freed up from taking vital sign observations, focussing on higher value patient care duties. They received a £1m healthcare development contract from NHS England earlier this year. Saccade Diagnostics is a multiple award winning spin out of the University of Aberdeen focused on developing eye movement tests as a Point of Care diagnostic tool (SaccScan) to assist clinical assessment, referrals and management of different psychiatric disorders such as schizophrenia, bipolar disorder and major depression within just 30 minutes. It is non-invasive, affordable and easy to administer, allowing non-specialists to operate it with minimal training. The tool has already been deployed to users globally for mental health research incorporating the study of eye movement abnormalities. The company won support from the European Commission under the Horizon 2020 SME Instrument programme and the pilot Innovation Associate programme in 2016. The latest in a string of awards was the Innovate UK Global Cooperation Award which will see them develop strategic relationships with supply chain partners in preparation for regulatory market approval and commercial roll out. Doom and Gloom? Or opportunities with Brexit?